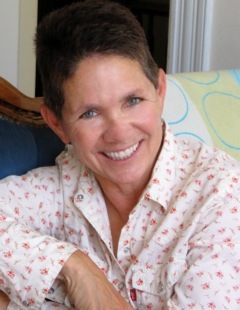 Joell is a writer, editor, and experimental filmmaker living in San Francisco. 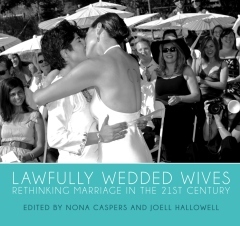 Her books include Lawfully Wedded Wives (Spuyten Duyvil, 2013) and Take Me to the River (Heyday Books, 2010). 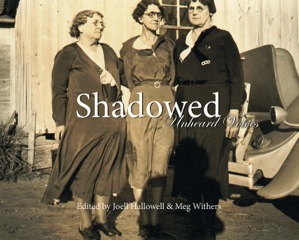 With Meg Withers (interviewed on WordMothers tomorrow), she recently co-edited the poetry/photography book, Shadowed: Unheard Voices, an anthology of 34 women poets responding to old photographs of anonymous women from the early 20th Century. I’ve been a visual artist all of my life but only began to write while in my mid-forties, after taking an adult education creative writing class on a whim. In my excitement for the new medium, I immediately applied for a place in the MFA program at San Francisco State University and that’s where I met Meg, in a poetry workshop. 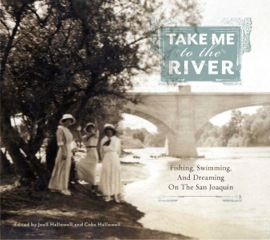 Meg and I began the Shadowed book project in 2007 and it was recently published by The Press at California State University, Fresno. It was a truly collaborative project, in every sense of the word and at every stage of the process—34 women working together. Meg and I took on the logistical duties of compiling and editing the book, sharing the work based on our individual skillsets, but the 32 other poets involved in the project were with us at every stage. Many of the participants also contributed photos and helped us connect with other poets. The diverse responses to each photograph were extraordinary; conceptually, that was the most fascinating part of the process. There are some photos in the book that were responded to by as many as ten different poets and every poem looked at the same image from a completely different angle. Each poet chose the images that most intrigued or inspired her and responded with imagination, intimacy, precision, individuality, color, texture and rhythm. Between the photographs and the poems, a dialogue emerged. Lifting these women out of the shadows, we catch a glimpse of who they might have been or who we wish them to be. Collectively, we conjectured, lied, imagined and speculated, all in order to discover some kind of separate reality, a new truth behind the static images. I write and edit from 9-to-5 at my tiny desk in my tiny home in the center of San Francisco, with my dog, Reggae, on one side of my desk and my new gas fireplace on the other. Very cozy. Mornings, after my double espresso, are when the most creative stuff happens. My best fiction and poetry always comes to me before noon. After noon, I move on to my day jobs: my oral history work, copyediting, law summaries, and video editing. I try to make a habit of quitting all work by 7 pm, otherwise I find myself too wired for a good night’s sleep—and a good night’s sleep is pure heaven. I’m very lenient with myself, but I do create a basic schedule every day and try to stick with it. I find that if I assign specific hours to specific tasks, they’re more likely to happen. I even include dog walks and bike rides on my schedule—you’ve got to fit in the fun stuff. I have a tortoise’s approach to productivity: I slowly plug away at my writing, my day-jobs, and my filmmaking projects, and it always amazes me that I actually do seem to accomplish quite a lot. I love to have fun and most of the “funnest” things I do are in the realm of the creative. There’s nothing as enlivening as the personal satisfaction of capturing that perfect image, that perfect combination of words. Those brief and very rare revelatory moments motivate me to persevere. I have a difficult time staying focused. I am constantly flooded by crazy ideas and surges of curiosity that plague my days and often keep me from pursuing the tasks in front of me. 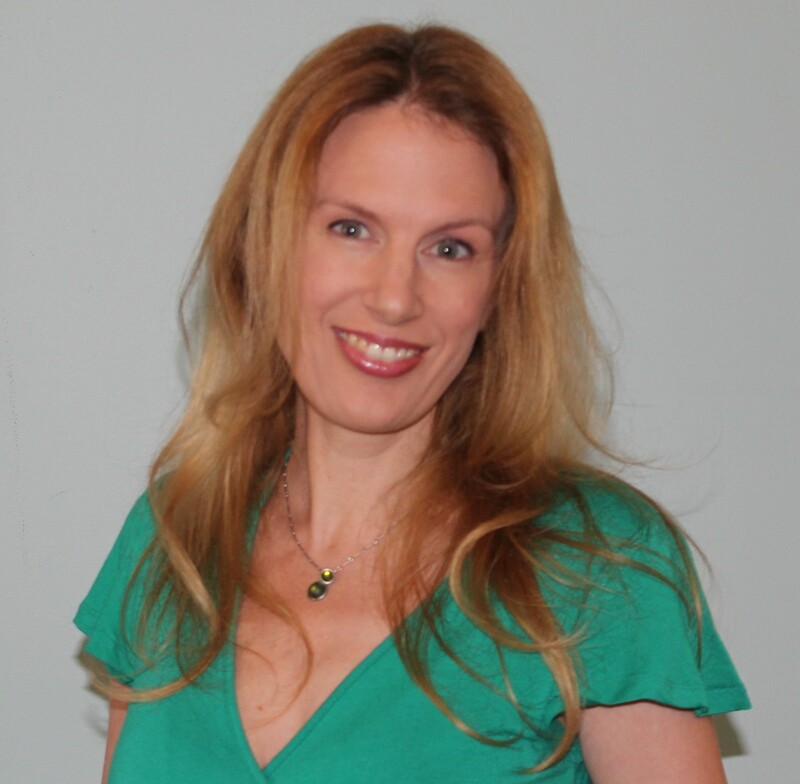 I, like so many other writers, am completely disconnected from the literary world and have found publishing and promoting my books to be an uncomfortable challenge. Writing is a joyous compulsion for me, not a path that I can map or envision. Engaging in the creative process makes me happy and the final product is always the least important part of that journey. I am a huge fan of succinct, spare writing and believe that women have the upper hand when it comes to achieving that goal. Lydia Davis and Grace Paley (may she rest in peace) both come immediately to mind—powerful storytellers who never waste a word. Speaking of Lydia Davis, I’d love to read a new interview with her—she’s a fascinating character and I’d love to know what makes her tick.